Ahh! Love the bright red color. Great shot! 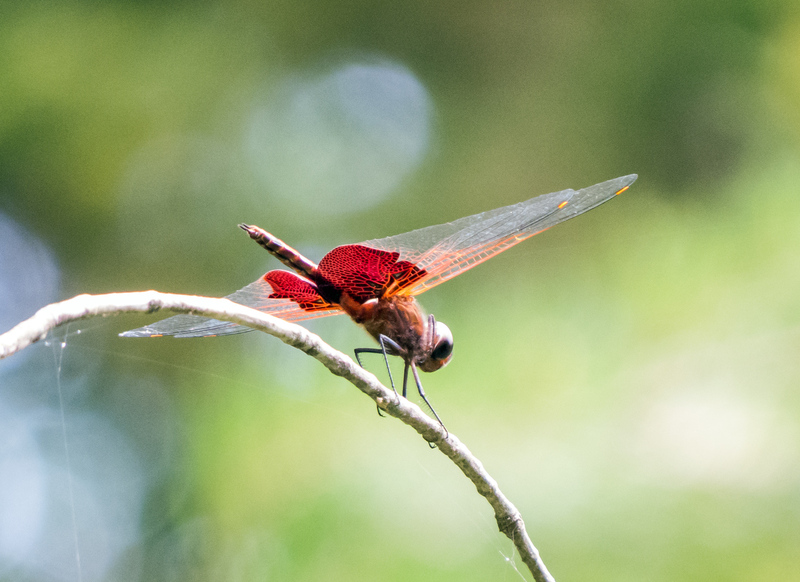 Benjamin thinks that this dragonfly is “awesome!” On the enlarged photo, he was quick to point out the yellow stigma and the orange areas in addition to the big red areas on the wings. He also noticed the spider web on the branch. It always amazes me that he remembers the word stigma, now I do too! Thank-you, Mr. Mike! !